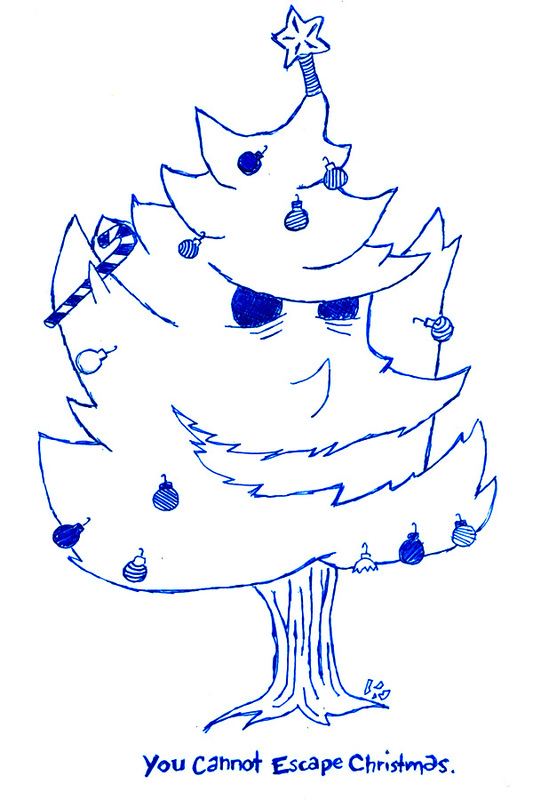 My previous posts drew some criticism for a decidedly un-Chistmaslike focus on death, so I decided instead to put up something a little more seasonally appropriate. 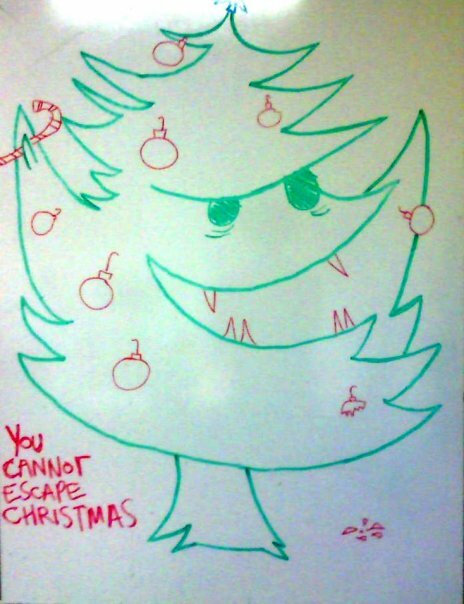 EDIT: In the interest of full disclosure, I should probably note that the above demonic Christmas tree is the second draft of something I drew on the office whiteboard during downtime at work. Co-worker Ben was kind enough to photograph the first draft and post it on Facebook. Somehow, I think I like the more hurriedly drawn whiteboard version better, possibly because scribble helps mask an ill-planned drawing. Which is why I draw that way.